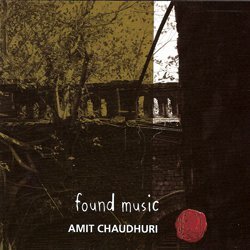 ‘Found Music’ released in October 2010 continues with some of the concerns of Chaudhuri’s first album ( This is not Fusion) – that is, to find new contexts for musical material. “This might mean discovering ‘Layla’ in Todi, Gershwin’s ‘Summertime’ in raga Malkauns, or making space within a song with country and western and ghazal elements for words like ‘Buri nazar wale tera muh kala’. In the new album, the Beach Boys’ ‘Good Vibrations’ reappears in the ragas Kalavati and Abhogi; the Beatles’ Norwegian Wood is reborn in raga Bageshri. It also contains (as does the first album) my original compositions – ‘Country Hustle’ is about growing up in Bombay reading Lone Ranger comics; ‘One Fine Day’ is an improvisational piece set to a 10-beat cycle; ‘Rain’ provides a new compositional, harmonic home for raga Megh. ‘Found Music’ echoes Marcel Duchamp’s ‘found objects’ – the idea that everyday objects can be transformed by being relocated in an art-space, and in the space of the imagination.” Says Chaudhuri.